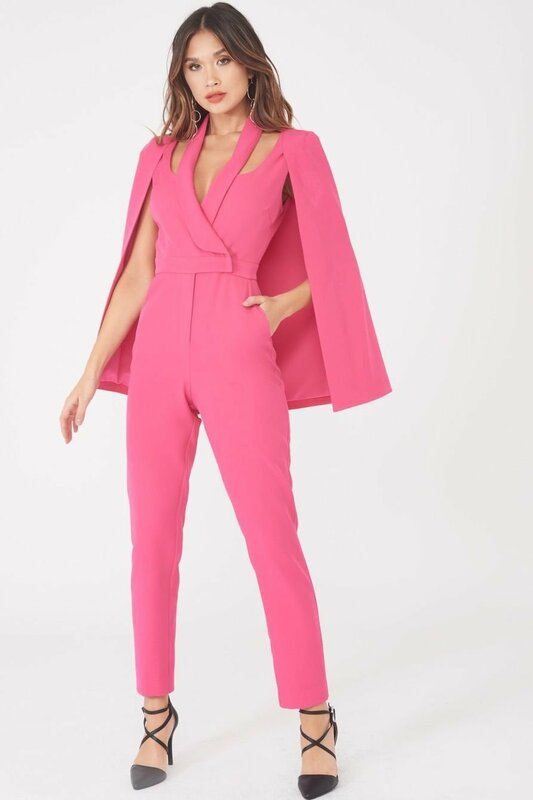 Nobody wants to be stuck in the office when the sun comes out to play; but work hard and play even harder with the cape blazer jumpsuit in hot pink. 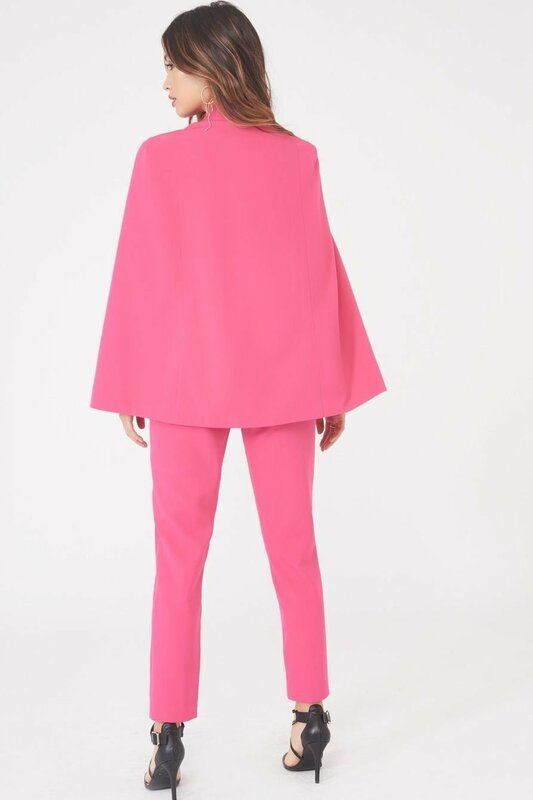 Its flattering cut-out neckline leaves just enough to the imagination to be appropriate for the workplace, whilst the cigarette pant cut gently follows the frame to create a stunning silhouette. Don't even get us started on the cape finish.